It's a bit ironic that I've had to go gluten free after I was just starting to get into beer. Even more so considering that my favorite types of beers ended up being wheat beers. Yes, irony abounds. Since I had gotten to enjoy having a beer every so often and now I can't have any of my favorites, Dan and I have decided to find new gluten-free favorites. While that means I'll be trying some gluten free beers, I'm doubtful I'll have too much luck (as I didn't have much luck with beers in general - it takes a special beer for me to love it). So I wanted to try some ciders, too. And thus begins our quest! 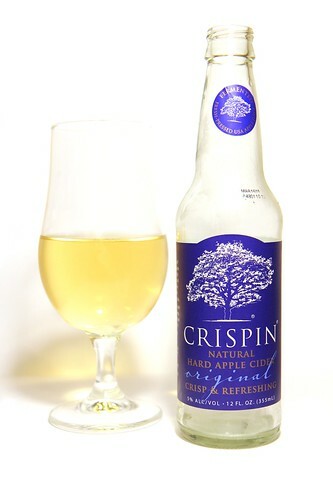 We really started this quest of with a bang; this was the first cider we tried and it is fabulous. It's apple-sweet with a tingle of tartness and a citrusy herbal note on the back end (from the added coriander and orange peel) that isn't strong but gives a great depth of flavor. This earthiness keeps it from being overly sweet, too. 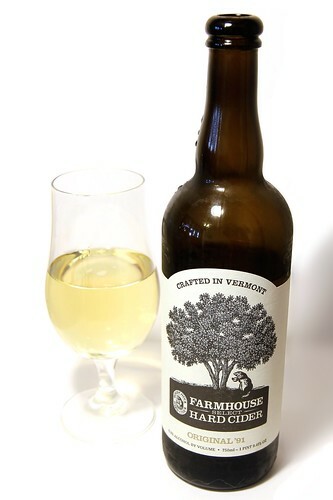 There's a hint of a wet white wine sweetness, like a muscadine or dessert wine, that can build to a bit of a tart apple aftertaste at times, but that's not unpleasant. I like this one so much, the next time we saw it in the store, we bought a six pack. The taste isn't near as sweet as I thought it would be based on the smell, which is very green apple sour candy. The taste is more like that dark apple flavor in warmed apple juice. There's a touch of dryness and a hint of tart but nothing that builds to stickiness. It has a fairly clean aftertaste with an aftertaste of green apple peel. 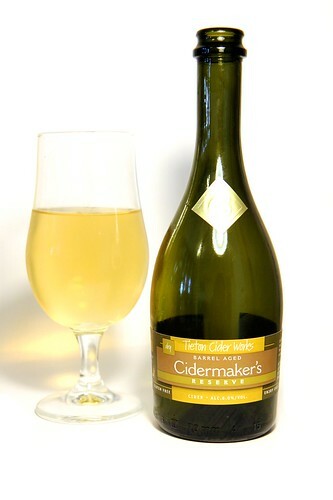 This one is not as fabulous as the first cider we tried, but still very good and I'd have no problem drinking it. It does strike me more as a wine or wine cooler replacement than beer replacement because of the strong apple smell and lack of mustier notes. Well, there goes my theory that I am just a whole lot less picky with ciders than I am with beers. This one smells like white wine with occasional notes of feet. The taste is very much white wine, though overall it is rather mild. And rather sour. There's no real apple taste except at the very end and then it is more of a dried or old apple note that alternates with a tart white grape taste. And the aftertaste tastes a bit like mayonnaise and it leaves a thick body-odor note on my tongue. I can't say that I like this one too much. Feet, mayonnaise and body odor? No thank you. Yeah, it's pretty funky, but honestly, I kind of love it. There's even a bit of something in there occasionally that makes me think of Ritz crackers. Wild! Of course, while I think it's really tasty (proven by the fact that I ended up drinking most of the bottle that Dan and I were sharing), the uniqueness of it (cheese!) does mean that this one isn't a daily drinker. Definitely a special occasion thing. So there we go! Four ciders down, lots more to go! 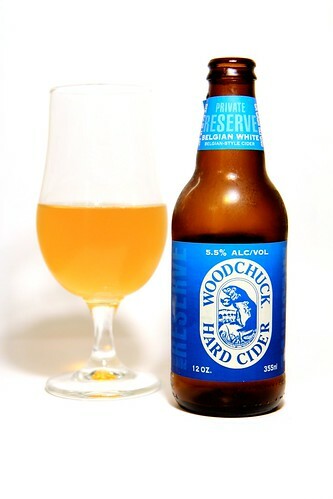 So far, I'm starting to detect a pattern: I like Woodchuck ciders. The two I've tried both have a heavier note that reminds me of my beloved wheat beers. We've got a few more offerings from them (including a pumpkin cider) so we'll see if that trend holds true. I'm pretty sure we have some Angry Orchard (and possibly more than one variety) but I think we managed to miss the Moose apple beer. If it is beer, it might not be safe for me (even some ciders aren't) but if we can find it, I'll have to see because moose!